Located across the street from the Lowry Park Zoo, this park is a picnic haven. 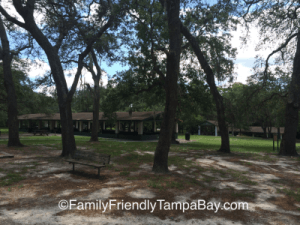 The Lowry Park makes for a great meeting place for family reunions, church or civic groups. There are ample amounts of covered shelters with plenty of benches for a huge gathering. This park provides a serene view of the river and includes a boat ramp and fishing dock. Barbecue grills are scattered throughout the park. Mini bridges around the park makes for a fun walking trip with the family. Lowry Park also includes two playground structures. Oak trees surrounding the park provides a good amount of shade from the Florida heat. The park is located nearby the ZooTampa at Lowry Park.